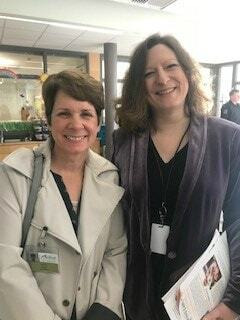 Last week, Children’s Institute staff visited Medford for two days to hear from parents and teachers and tour early childhood facilities with state legislators. From Coquille to Baker City, Redmond to the Rogue Valley, we continue to hear the same message from parents, educators, and providers: families want and need high-quality early care and education for their young children, and there isn’t enough access to either anywhere in Oregon. Families have also told us they want parenting education that supports positive, nurturing parenting and teaches them how to enhance their children’s natural love of learning. The parents we heard from in Medford understand that babies are born learners. In fact, the developmental period of prenatal to age 5 is the most significant period of brain growth and development in their entire lives. The attention, care, and education young children receive during this important time sets the foundation for all future learning and life experiences. 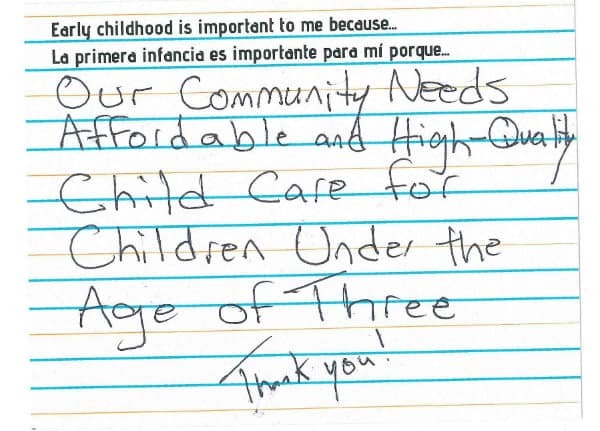 At Kid Time Children’s Museum, home of The Learning Loft Preschool, more than 40 parents, providers, and community members attended a forum to share via postcard with us and their lawmakers why early childhood is important to them. Cynthia Wright, who serves on the Medford School Board wrote, “I strongly feel that having the funds to have preschool as part of K–12 education would make a huge impact on student achievement in Oregon.” With four classrooms at Kid Time and one at Jackson Elementary School, The Learning Loft Preschool provides high-quality, child-centered, play-based learning to young children with a range of needs: 100 percent of children live in low-income households, 80 percent have been exposed to trauma, and 20 percent have diagnosed developmental delays. 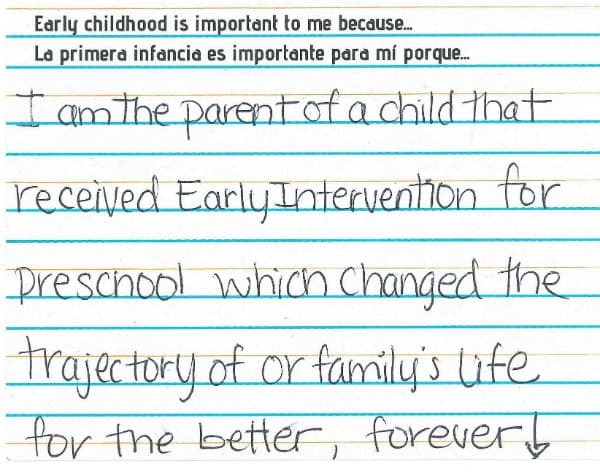 One parent at the forum whose child received Early Intervention during preschool at The Learning Loft wrote that those services “changed the trajectory of our family’s life for the better, forever.” Another attendee explained the long-term benefits of high-quality preschool. “It sets the stage for K–12 success. It’s cheaper to spend the money for this than incarceration later in life. Success breeds success. Kids deserve to have a good life and receive the best opportunities to be happy and contributing members of their communities.” High-quality early education also benefits parents. “Some of our parents need a lot of help like getting their kids dressed and ready for school. When we help parents where they struggle, we’re building trust and we’re helping them build skills that will help their children,” said Sunny Spicer, Kid Time Museum’s executive director. Supporting young children and their families is at the heart of the services provided inside and outside of the classroom at the Family Nurturing Center. With the stated goal of reducing child abuse and neglect, the center provides parenting education and intervention, preschool, and mental health and family support services. This innovative approach supports healthy parent-child relationships and ensures young children get the high-quality early experiences necessary for success in school and life. 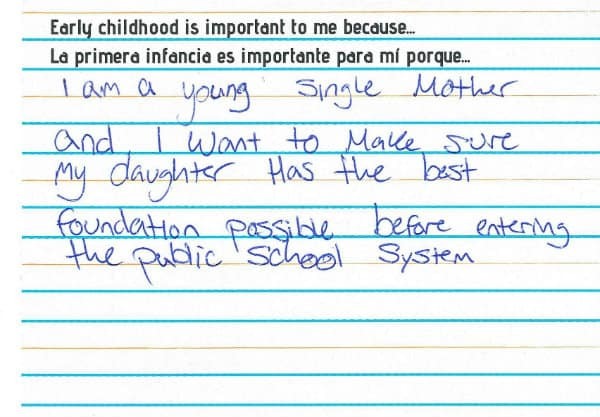 Attendees of the community forum shared their thoughts on early childhood. Lisa O’Connor, Family Nurturing Center’s executive director, attributes the organization’s success in part to radical non-judgment. “We believe in people until they are ready to believe in themselves,” she says. 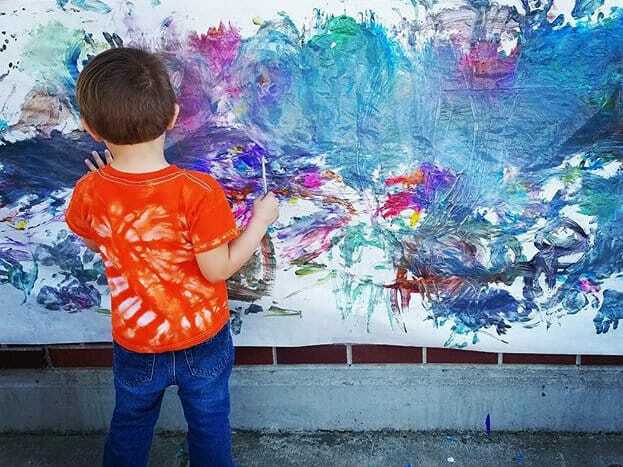 The work in Medford demonstrates what a coordinated system of early care and education can do for young children — nurture their love of learning, grow their social emotional skills, and help their parents build positive relationships with them. But with 30,000 eligible children in Oregon lacking access to publicly funded preschool, the need to add programs like these is great. Read more about our 2019 policy agenda and the ways you can get involved with our advocacy efforts. Liz Landon, Principal of Oak Grove Elementary School, and Representative Kim Wallan. 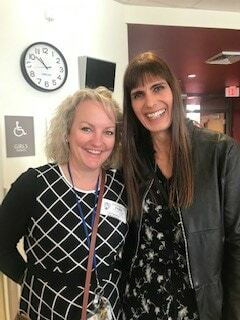 Cynthia Wright, Medford School Board Chair, and Sunny Spicer, Executive Director of Kid Time. 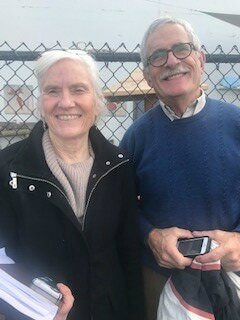 Representative Pam Marsh and Senator Jeff Golden. Special thanks to Sunny Spicer, Shannon Young, and Britt Zimmerman from Kid Time Museum, Marisa Poling from Jackson Elementary, Lisa O’Connor from the Family Nurturing Center, and Rene Brandon from the Southern Oregon Early Learning Hub for organizing the visit.